It was no surprise when Serena Williams topped the Forbes list of highest-earning female athletes released earlier this week, but you may have not recognised the name of the woman in seventh place. 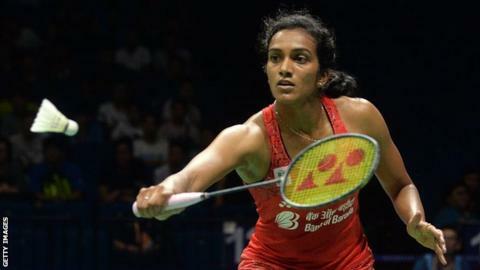 Sindhu comes from a sporting background with both her parents playing volleyball at national level, but she took up badminton aged six when inspired by Pullela Gopichand, who won the men’s singles event at the All England Open Badminton Championships in 2001. Her life and career changed during the women’s singles competition at the 2016 Olympics. She was only seeded ninth but gained wins over eighth seed Tai Tzu-ying of Chinese Taipei in the last 16, China’s second seed Wang Yihan in the quarter-finals and Japan’s sixth seed Nozomi Okuhara in the semi-finals before losing to Spain’s world number one Carolina Marin in the final. “Before the Olympics, when we reached out to sponsors, often we were asked ‘Sindhu who? '” said Tuhin Mishra – group managing director of Baseline Ventures, the company that takes care of Sindhu’s commercial interests – in an interview with CNBC in 2017. After her return from Rio, she received cash prizes from the different state governments and government institutions worth Rs 13 crore (130m rupees – about £1.4m), while, as a comparison, gold medallist Marin received Rs 70 lakh (7m rupees – about £77,500) from the Spanish government for her achievement. Those companies on Sindhu’s sponsor roster include Bridgestone Tyres, sports drink Gatorade, pain reliever ointment Moov, online fashion store Myntra, Nokia, Panasonic, honey producer APIS Himalaya, herbal health drink firm Ojasvita and the Bank of Baroda. She is also a brand ambassador for both the Central Reserve Police Force and Vizag Steel. On Thursday, she begins her campaign in the women’s singles at the Asian Games in Indonesia, where she is the third seed. India have won one individual bronze medal in this competition – Syed Modi in the men’s singles in 1982; Sindhu is aiming to become the first Indian woman to secure an Asian Games badminton medal.